Victree ("Tory") was purchased as a pair with her dam Victoria, when she was 6 months old. She has become a beautiful mare, my favorite riding horse and a wonderful producer. 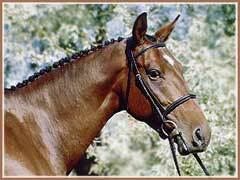 In April 2002 Tory delivered the substantial filly Voila by the Trakehner stallion Enrico Caruso *Ps*E*. Shortly after her foal was weaned, Tory went into training and within one year had entered her first show. Within a few months, she earned such high scores in Training Level dressage that she was ranked third in the 2003 ATA Futurity. 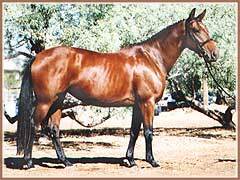 Prior to being bred to Kostolany, Tory had shown in First Level and was schooling Second Level. 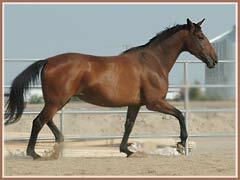 She delivered another athletic filly, Valkyree, on April 16, 2005. 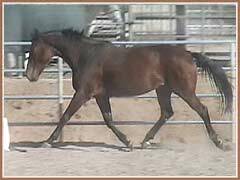 Tory foaled a leggy, athletic colt by the Grand Prix dressage stallion Oskar in April 2007. Vigo is another good moving offpsring with a quiet and sensible temperament. He will excel in the dressage ring with his lofty gaits.